Although this is classed as rare in the Southern Lofty region, you’ll be able to find this little beauty between the Cape Jervis township and the ferry terminal, if you look carefully. 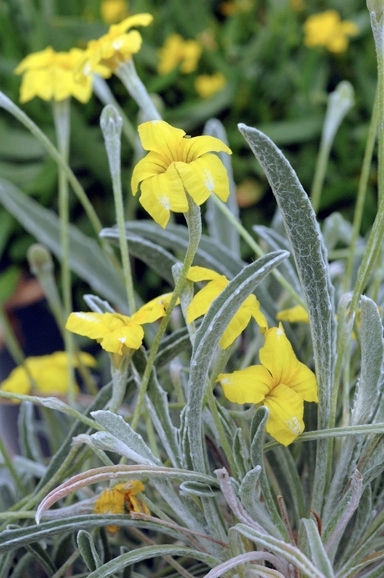 It’s a small perennial, with soft, hairy leaves and pretty yellow flowers. The leaves are narrow (up to 1 cm), but can be quite long (to 9 cm). The yellow flowers have 5 petals, and are held up on thin stalks.